As we all know, photography is ludicrously expensive. Even entry level DSLRs are a few hundred dollars these days; some point and shoots hit close to $1,000. This can be daunting to anyone looking to get into photography, as the sticker shock may drive them away. For working professionals, the price tags get higher and higher as apertures are larger, build quality is higher, and resolution jumps to ridiculous levels. There is, however, an alternative. It’s something that people fear, swear off, and curse because they got bit by a sketchy dude on eBay: buying used gear. It isn’t all bad though, as there are a variety of safe, quality controlled ways to purchase used gear. My recommendation would be to buy from a brick and mortar store, or through a trustworthy online seller like KEH. There are numerous advantages to buying your used gear from a physical store, the biggest of which being the ability to see the product and ascertain its quality for yourself. That being said, not everyone knows what exactly to look for. Working at a camera store myself, I work with a lot of used equipment and have to buy items in almost every day. 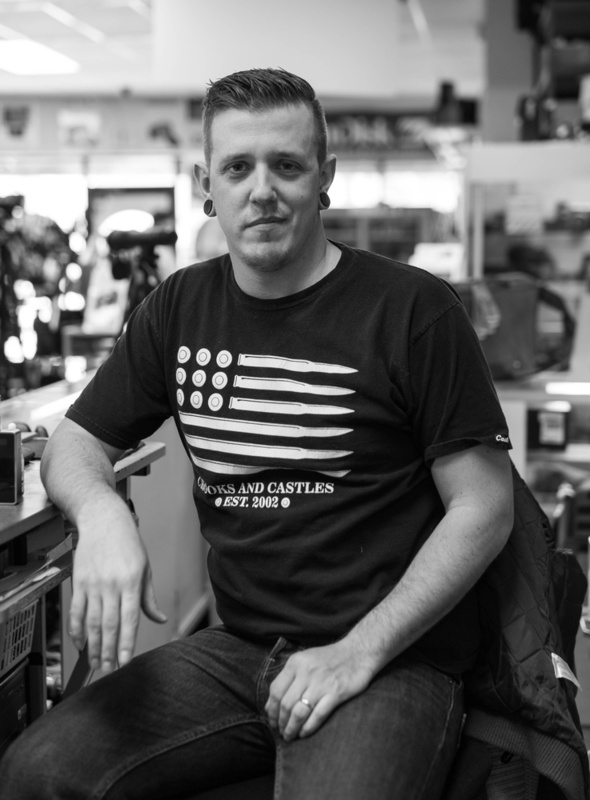 I asked my coworker, Jake, what would be a few things to look for when buying used gear. These are things that we constantly look for when inspecting gear. One of the first things you should look at is the rubber on lenses and bodies. If the rubber on a zoom ring or grip area on a body is worn, torn, or faded, that’s a good indication that the lens has seen a fair bit of use. This occurs through scuffing, chafing against bags, and the elements taking their toll over time. Granted, you can get the rubber replaced but that’s kind of like getting a new engine put into a car. Just because the mileage is reset, or the camera looks brand new, doesn’t mean the rest of the car/camera (drive shaft, transmission, shutter assembly) are in that great of condition. Keep in mind that the bodies in Nikon and Canon’s pro line are built to last for hundreds of thousands of shutter actuations (and some serious abuse), so don’t always take rubber wear as a sure sign of poor quality, that just means that the item has been well used. The next big thing is shutter count. As I said above, some cameras are rated for a few hundred thousand actuations, giving them a life span of many, many years. In general, higher shutter counts lower the viable price of a camera. Aside from sensors, shutter mechanisms are one of the more expensive repairs. Speaking of which, if someone tells you that the shutter has been replaced asked them for a proof of service from a certified repair facility. On most cameras the shutter count will not reset when the shutter is replaced, making it common to run across a camera with a new shutter but 100+ thousand actuations. Like replaced rubber, be aware that the rest of the camera may not be in great condition, should the body have seen enough use to merit a shutter replacement. 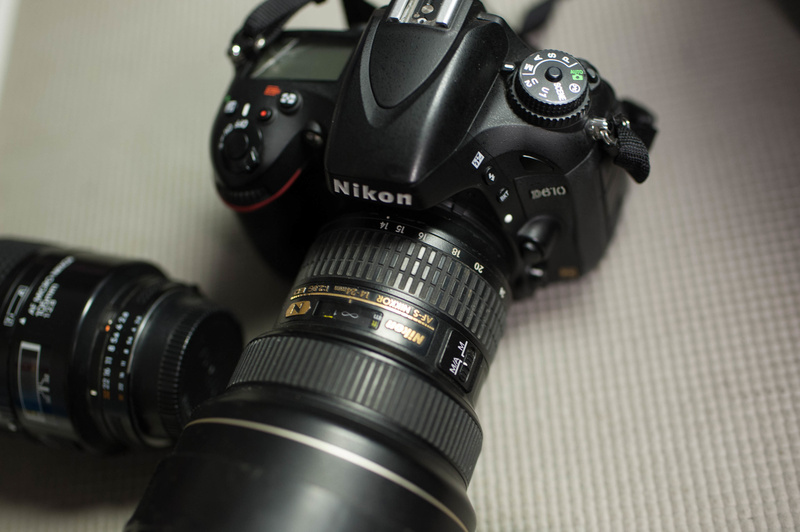 I bought both my Nikon D800 and D3 used, and they were each around the 60,000 actuation mark and function perfectly. 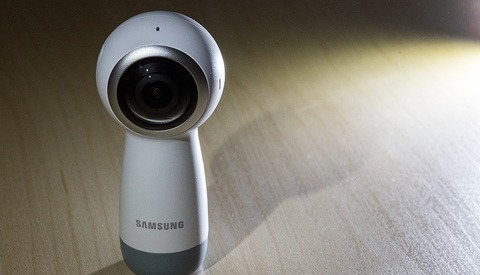 Higher end bodies will usually be fine past 200,000, whereas consumer cameras will often start to shown signs of their age around the 80,000-100,000 mark. 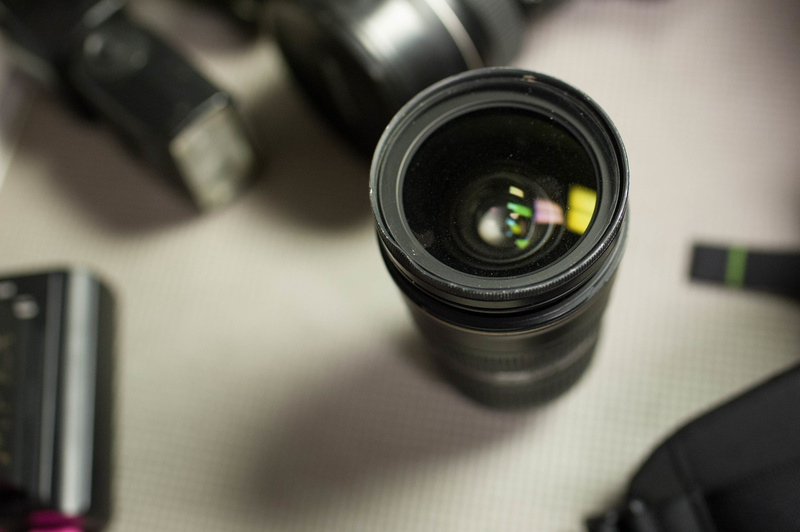 If you’re looking at buying a lens there are two important things to look for. The most important of which is the apertures condition. Check for oil and scratches on the aperture blade as this will indicate whether the lens will be in need of a repair in the near future, or if it may already be malfunctioning. 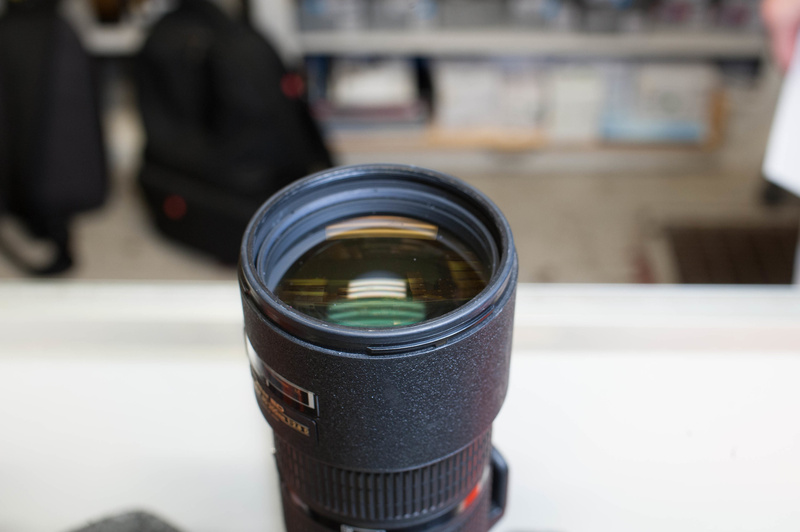 Getting an aperture replaced won’t be cheap, especially on high end glass. On cheaper lenses, it may not prove fiscally viable to have an aperture replaced. Another thing to look for is the abundance of dust inside the lens and scratches on the elements. You would actually be surprised by how extreme either of these issues need to be to cause actual losses in image quality, so don’t be too concerned unless the rear element has a large scratch or there is a serious gathering of dust inside the lens. 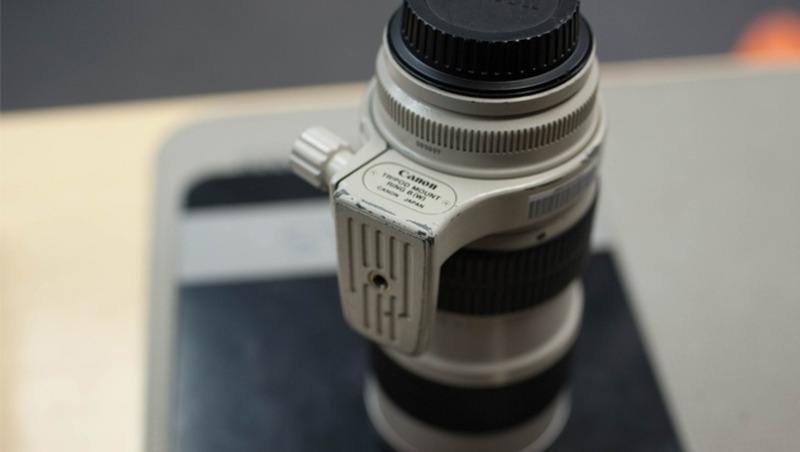 If you can see haze or fungus within a lens, this is another cause for concern as it can cause a loss in contrast and sharpness. Should the gear that you’re inspecting pass all of these tests to your satisfaction, you’d be safe to buy it. Naturally, ask them to see the lens on a camera or vice versa and come to your own conclusions. Put a card into the camera, take some shots home, and look at them. If the images are up to snuff and you're comfortable with shutter count, service history, etc, you’re in for a good deal. As far as sellers like KEH, there is no real way to see the equipment before buying it. While this is troubling for most people, any reputable dealer should have some form of return/exchange policy on their used gear should it not meet your expectations. This goes for eBay as well, but due to the nature of the site, it’s still possible to be burned by scammers. Do some research, look into the seller and look at their reviews. Some stellar deals can be found in the depths of the internet. Used gear can help you to save huge amounts of money. My D800 cost me less than $1500 (talk about a deal!) with a fairly low shutter count on it. Yes, there are some fancy features on the D810 that I don’t get, but is it worth double the price? Not for me. My D3 was an absolute steal and that camera should last for years and years to come due to the absurd build quality. New versions of my cameras would have ran me close to $10,000 (yes I know that the D4s/D5 is far superior to the D3, but I’m not shooting sports or wildlife fulltime) and I got away at less than $3,000. Any of the cameras mentioned would take about the same picture anyhow, like this super quick shot of Jake from Midwest shot on my D3 (which is nearing it's tenth anniversary!). Could you guess how old the camera is based on this web sized image? Cameras at this age from both Canon and Nikon are extremely reasonable as entry level full frames that still take amazing photos. Certainly in more difficult situations (sports & concerts) the new cameras will fair better, but if you're into landscapes, portraits, product, macro, or anything else that doesn't require ludicrous low light performance, you're safe. Many photographers that I meet are wary of used equipment for one reason or another. Often times it has to do with the lack of manufacturer warranty or memories of a deal gone wrong on craigslist. If you buy from a reputable dealer and do your homework, you’ll likely walk away with a whole lot of extra cash in your pocket. On top of that, you can focus more on creating images than the credit card debt accompanying your latest and greatest gear. It isn’t about the equipment, it’s about the artist using it. Also consider your application. My studio work has no real deadlines, so any old used camera will do. Would I shoot a wedding with a used camera? Probably not. But for shoots where it's no more than 20 feet from camera to computer, I can get away with using much older gear, and save my new stuff for more critical shoots. 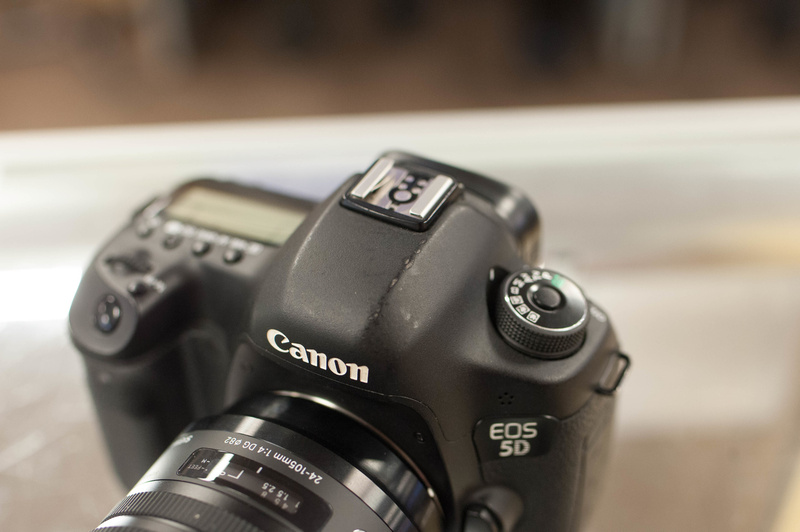 I bought a used Canon 60D on EBay since I had lenses for my previous 40D and it works fine. When I shoot commercial stuff , I borrow a full frame camera from a friend and rent a lens from Vistek (canadian camera shop) :-) Good article Spencer ! I have a 5dmk2 but i am looking at oicking up a used t2i as a bcam for video work. You can pick up a gently used t2i for 150$-200$. Throw magic lantern on there and you have a solid 1080p video camera. I find it somewhat ironic that many of the lower-end Canon bodies have so few actuations. For a backup, you can get like new for dirt cheap. Any way to see if the used gear you're buying is gray market? I'd hate to buy something and then be unable to get it serviced. I'm pretty sure that with Canon, it doesn't matter. They will service grey market, but won't warranty it. You're not likely to encounter a warranty situation on used gear anyway. I've used KEH in the past with very good results, but I was a bit put off when I called about a year ago to find out if a Nikon camera body they had listed was a US model or not. The person I talked to seemed a bit annoyed with my question, said he would not be able to answer my question, and said that it didn't really matter and I shouldn't care one way or the other because KEH could always service it for me if needed... so I purchased the body from a dealer on eBay where it was clearly a US model. To be fair, it really didn't matter. And KEH will stand behind their used gear more than your typical ebay seller. Some manufacturers (Sigma for example) allow you to check serial numbers on their website to see if it is grey market. There are incredible values to be had in the used market, but beware. I am in the process of sending back a "perfect" lens purchased on eBay that has considerable haze. I've found KEH to be very fair in its ratings of lenses, sometimes rating lenses lower than they should be (to my benefit). Also note that if you live or work in humid areas, any fungus you get on a used lens has the ability to spread onto other lenses if kept in the same bag. 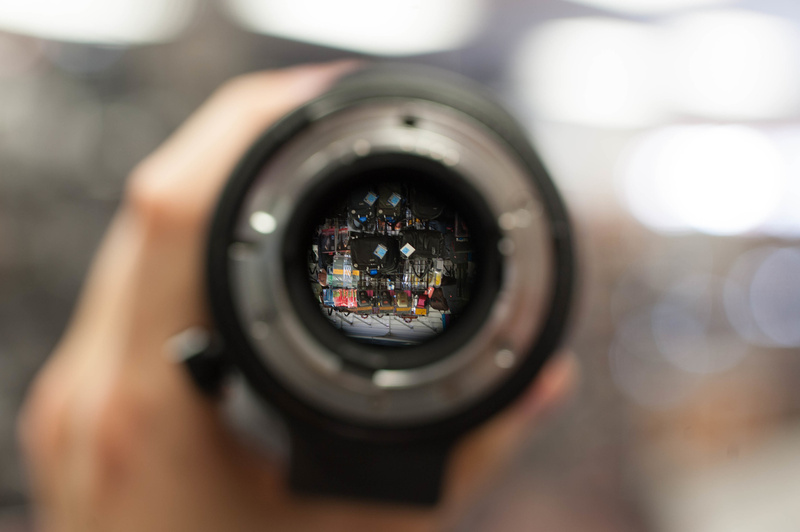 Great tips for when one can visually inspect the item. I have not experienced any problem buying used gear from a reputable reseller like KEH or B&H. I bought a used Canon FD 28mm f2.8 from B&H and that has quickly become my favorite lens; I also bought a Macrophoto 20mm f3.5 lens..
From KEH, I bought a used New F-1N with the AE Finder FN, AE Motor Drive FN, two focusing screens (partial and spot), and an Canon Auto Bellows. KEH has a six month warranty for items not graded as "As Is". I've amassed quite a collection of excellent lenses by purchasing them all used. Some of my best, most significant, lenses I bought off of eBay as a "parts only" lens. As long as you know the level of work involved to get them back to new again, you can save yourself quite a bit of money. I mainly buy old Minolta Rokkors, Leica M, Canon FD and Olympus Zuiko OMs because of their manufacturing quality and the simplicity of their inner-workings. If a lens has been posted to eBay as a parts lens, I check to see why. Often it's an oily aperture or lens fungus or haze. All of those issues are typically straightforward, simple fixes. Lighter Fluid for apertures, Hydrogen Peroxide + Ammonia (50/50 mix) for fungus, and a darn good cleaning for haze (often from off-gassing of grease used in helicoids). My collection of specialty tools and cleaning solutions probably totals around 150 bucks: Japanese Industry Standard screw drivers, lens spanners, #30 Grease for helicoid threads, some rubber for unscrewing front element rings, and an adjustable lens filter thread vise. Start out with something inexpensive and simple like a 50mm for $25 and see how you do with that. The more you do it, the easier it gets and the braver you'll be towards tackling more expensive/rare lenses. There are some STELLAR old lenses out there to be had! I buy all my gear used from craigslist. Some of it is near-new "mint" condition including box, manual and sometimes even the original sales receipt. As soon as you take the shrink-wrap off an item it has lost the sales tax value, and probably 5 to 10% even if it's hardly been used. When I buy used camera bodies I test everything thoroughly. When I buy used camera lenses I mount it on my camera body and run it through a series of aperture and auto-focus tests. If it works there I make a cash offer but if there's any sign of problems I decline the offer - no need to buy somebody else's repair headache. I've found that buying higher end lenses and bodies on the used market yields great results because more often than not, the previous owner took better care of the gear than they would have with cheaper, entry-level gear. I know I take way better care of my 5D3's and Canon "L" lenses (all bought used) than I ever did my Rebel and kit lens (which I actually bought new). Also, buying gear from internet forums where you can check the seller's post history and even feedback from other buyers is a great way to used gear that has probably been taken care of, as you can get a sense of the seller's personality from all those earlier posts.